Effects are special types of layers that you can add to your scene's structure. For an effect layer to work, it must be connected to a drawing or a group. Effects only alter the drawing or group they are connected to, which gives you flexibility in deciding precisely which parts of your scene is affected. Some effects need to be linked to another layer referred to as the matte layer, which is used to define the area they should affect. The most basic example of this is the Cutter effect. Alone, a cutter effect does not have any effect on your drawing. Once combined with a matte layer, the Cutter effect cuts the shape of the matte out of the drawing. A matte layer is simply a drawing layer that is connected to an effect as its matte. The effect takes the shape of the drawing in the matte layer, ignoring its colours and details. In the Timeline view, an effect must be rigged as the child of the drawing layer or group it is meant to affect. If the effect requires a matte, it will have a Matte parameter, on which you can drag and drop the layer you wish to use as the effect's matte layer. Once your effect is connected, you can adjust its parameters using the Layer Properties view. If desired, you can even animate the parameters of your effect by converting their values to functions. The Cutter effect cuts out a portion of an image. To accomplish this, it needs to be connected to the drawing it is intended to cut as well as to a matte layer. The cutter will take the shape of the drawing in its matte layer and cut this shape out of the drawing layer. This is especially useful if you want to make a character disappear between a background element, or if you want to cut out a hole in the middle of a character. 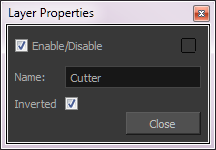 The Cutter effect has an Inverted parameter, which is disabled by default. When enabled, the Cutter will have the revert effect: Instead of cutting the matte's shape out of the drawing, it will cut everything outside of the matte's shape out of the drawing, leaving only the parts of the drawing that are covered by the matte. In the Timeline view, create a new layer, which will be used as your Cutter effect's Matte layer. In your new Matte layer, draw the shape that you want to cut out from your drawing layer. In the Timeline view, click the Collapse/Expand button on the effect layer to display its Matte parameter. 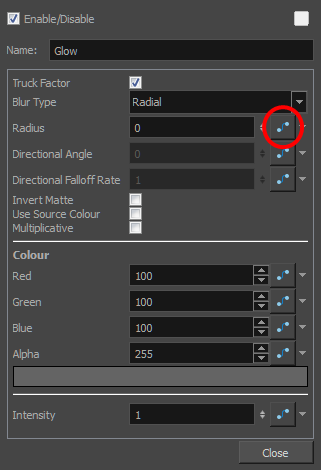 If you want to invert the Cutter's effect, double-click on your Cutter layer to open its Layer Properties dialog, then enable the Inverted option. In some cases, you may want to have the intensity, color, or another parameter of an effect animated. 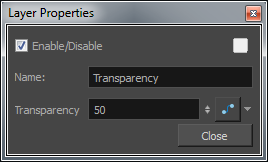 For example, you may want an object to fade in or out, which would require making its transparency level animated so that it increases or decreases as your scene goes. You can animate an effect's parameters by creating a function curve for its parameter. You can then add keyframes to the function and set them to different values, hence making your effect's parameter change value as your scene plays out. To do this, you will need to use the Layer Properties view. Click the Add Layer button and select Effects > desired effect. Right-click and select Insert > Effects > desired effect. From the top menu, select Insert > Effects > desired effect. Double-click on the effect layer to display the effect properties. Click the Function button of the parameter you want to animate and create a function curve. In the Timeline view, expand the effect layer's parameters by clicking the Collapse/Expand button. Then click the Function button of the parameter you want to animate and create a function curve. 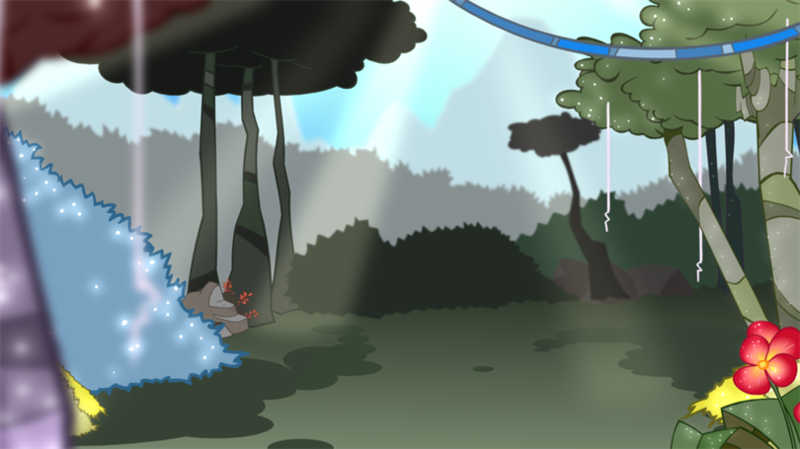 In the Timeline view, go to the frame on which you want to start animating the effect. In the Value field of the parameter you want to animate, enter the keyframe value. If your keyframes are stop-motion keyframes, in the Timeline view, select the new keyframes. Right-click and select Set Motion Keyframe. Repeat these steps until your effect's animation is complete. NOTE: Refer to About Effects Preview to learn how to preview animated effects.